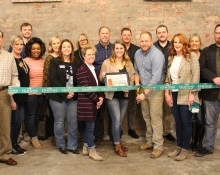 Venue 102 recently held a ribbon cutting with the Edmond Chamber to celebrate their grand opening at 94 West 1st Street in downtown Edmond. 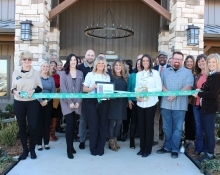 Airco Service, Inc. recently held a ribbon cutting with the Edmond Chamber to celebrate their new location at 14801 Santa Fe Crossing Drive in Edmond. Dr. Jenna Crowder recently held a ribbon cutting with the Edmond Chamber to celebrate the grand opening of her practice at 1616 S. Kelly. 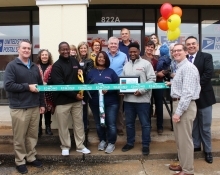 Bahama Bucks recently held a ribbon cutting with the Edmond Area Chamber of Commerce to celebrate their grand opening at 1468 North Kelly Avenue. Stonehorse Crossing Luxury Apartments recently held a ribbon cutting with the Edmond Area Chamber of Commerce to celebrate their grand opening at 14320 Mezzaluna Boulevard in north Oklahoma City. 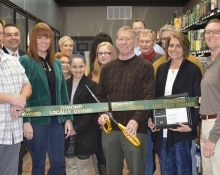 Edmond Wine Shop recently held a ribbon cutting with the Edmond Area Chamber of Commerce to celebrate their 45th anniversary and their new dedicated “beer cavern”. 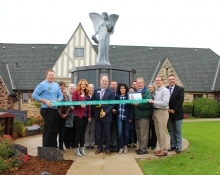 Memorial Park Funeral Home and Cemetery recently held a ribbon cutting with the Edmond Chamber to celebrate the opening of their new garden. Safe Ship Edmond recently held a ribbon cutting with the Edmond Area Chamber of Commerce to celebrate their grand opening at 822 West Edmond Road.